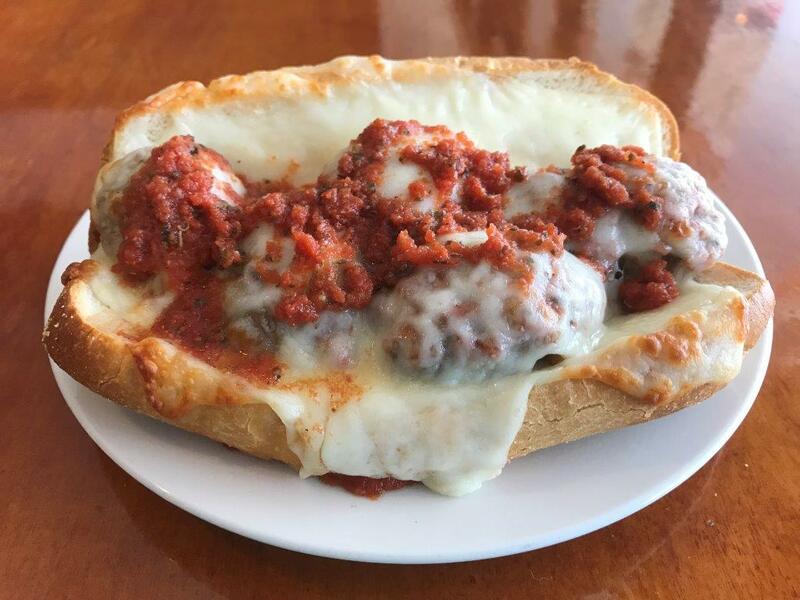 Sweet Italian sausage baked with tangy marinara and mozzarella. Served on an Amoroso roll. Italian-style meatballs, baked with tangy marinara and mozzarella. Served on an Amoroso roll. Grilled on Rye, Pumpernickel, Whole Wheat, or White. Add cheese $0.80. Corned Beef or Turkey. Grilled on Rye, Pumpernickel, Whole Wheat, or White. Comes with swiss, sauerkraut, and 1000 island. On Rye, Pumpernickel, Whole Wheat, or White. Best grilled cheese in town. You'll flip over our club! Comes with ham, turkey, bacon, white american cheese, lettuce, tomato, and mayo. On Rye, Pumpernickel, Whole Wheat, or White.